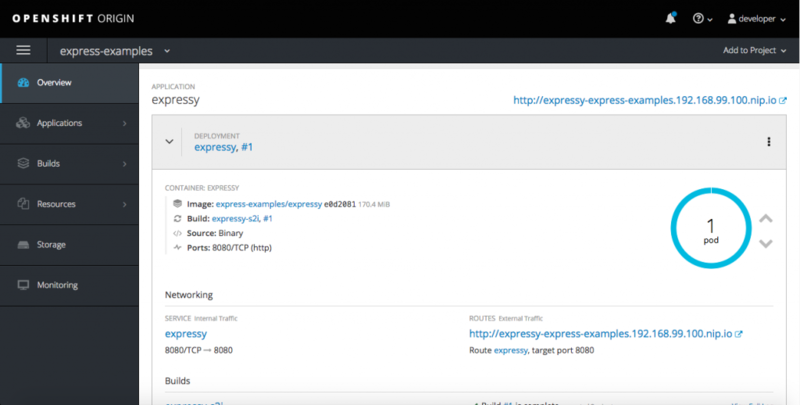 It's pretty quick and easy to get an Express.js app up and running on OpenShift. Read on to learn how from a Red Hat developer. Before we start, there are some required prerequisites. You need to have Node 8.x and npm 5.2 or greater installed. npm comes with the official node distribution, so if you install Node from Nodejs.org, you should be good. You also need to be logged in to whatever OpenShift cluster you are using (OpenShift or minishift) using oc login. What is Express, you say? 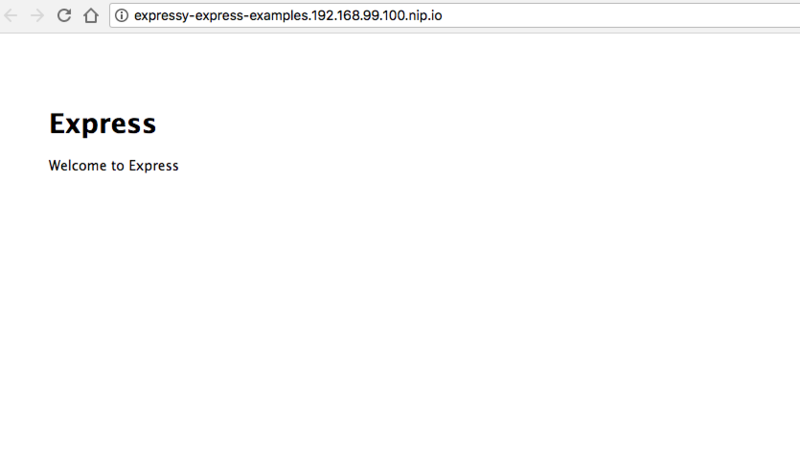 Well, according to the Express website, Express is a "Fast, unopinionated, minimalist web framework for Node.js." 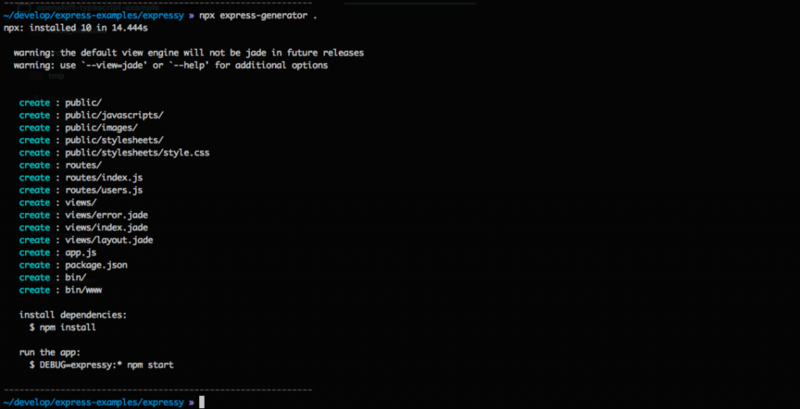 One pretty cool thing about Express is the Express application generator tool: express-generator. This is a command-line tool that "quickly creates an application skeleton." But wait: didn't I just say that Express was unopinionated? It is, but this is the opinionated skeleton creator. But we aren't going to do that. Instead, we are going to use a fairly new feature from npm, called npx. npx gives us the ability to run one-off commands without having to install things globally. There is more to npx that just that feature, so if you are interested in all the cool things npx can do, check it out here. Let's take a quick look at what is actually happening with this command. 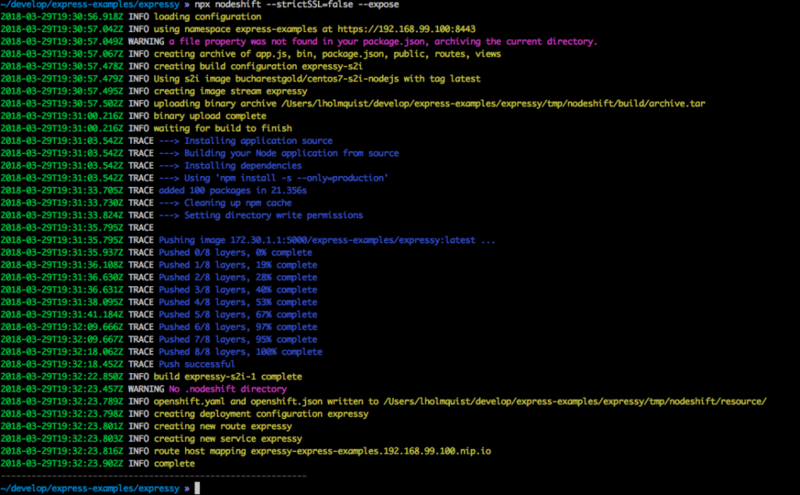 First, npx sees that we want to run the express-generator command, so npx does some magic to see if we have it installed locally (in our current directory), and then it checks our global modules. Because it is not there, it downloads it for this one-time use. express-generator is run in our current directory, which is denoted by . that at the end of the command. express-generator also gives us some instructions on how to install the dependencies and then how to run the application. You can skip that for now. Now that we created our basic Express application using one command, we need to add one thing to package.json before we deploy our app. We need to pass a PORT environment variable to our start script. One way to do this is to open a text editor and do it that way, but that would add a few more steps. To do this in one command, we can use the JSON module. As before, we are using the npx command to allow us to not have to install the json module globally. Let's see what is going on with the options passed to the json module. For more information on the json module, check out the documentation. Here, we are using the nodeshift module to deploy our application. nodeshift is a CLI or programmable API that helps with deploying Node apps to OpenShift. npx is doing the same thing as in the previous examples. nodeshift is using two flags. The first, strictSSL=false, is needed when deploying to minishift or someplace that is using a self-signed certificate. If we were deploying to a real OpenShift cluster, we could leave that out. The second flag, expose, tells nodeshift that it should create a route for us, which allows our application to be seen by the outside world (if you are running minishift locally, only you can see the application). If we head over to the web UI of our running minishift, we can see that the created pod is now running successfully. The example app we created was very simple, but it shows how quickly you can get started using Node.js on OpenShift. Published at DZone with permission of Lucas Holmquist , DZone MVB. See the original article here.